Decorating for Halloween doesn’t have to be expensive. With these DIY Halloween decorations, your home will be ready for all the little goblins and gouls in no time. The creative Michele Made Me blog has a fantastic idea for a creepy Halloween decoration that can be made almost entirely with items from your recycling bin and your garage. 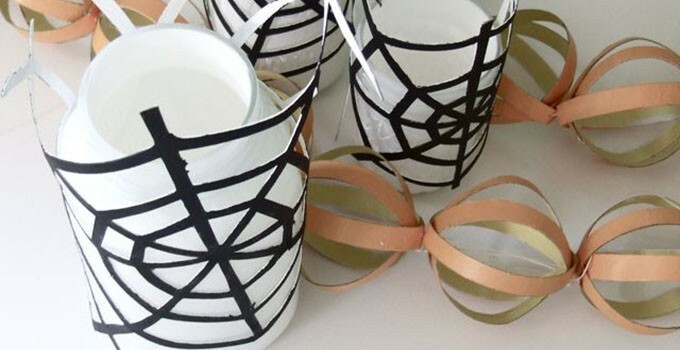 This fun Webbily Halloween Lantern is easy to make and requires materials that most crafters will have on hand. Normally, I don’t appreciate spider webs in my home. For these, I’ll gladly make an exception! I find that the best Halloween decorations are both cute and a little creepy. 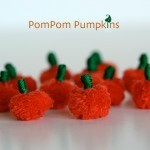 These Pom Pom Pumpkins are just the thing to add that adorableness to your Halloween decor. With orange pom poms, green embroidery floss and a bit of glue, just about anyone can create these tiny pumpkins that can be used as decorations or embellishments. 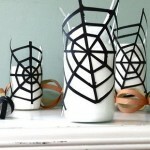 I think I’ll make a bunch and make a Halloween garland! Visit Liquid Paper’s Arts and Crafts section to find Laurie’s other great projects. For a dual purpose decoration and candy bucket, check out my Mummy Trick or Treat Bucket tutorial.